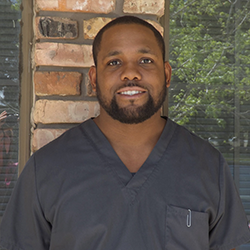 Shane is always doing a terrific job welcoming everyone as an Ophthalmic technician. He specializes in working patients through a variety of very fancy instruments such photographing your retina, autorefraction, testing the strength of your visual field, and ocular coherence tomography to name a few. He’s also the number one guy that will make sure you end up getting the perfect contact lens. His talents are a great addition to our office.